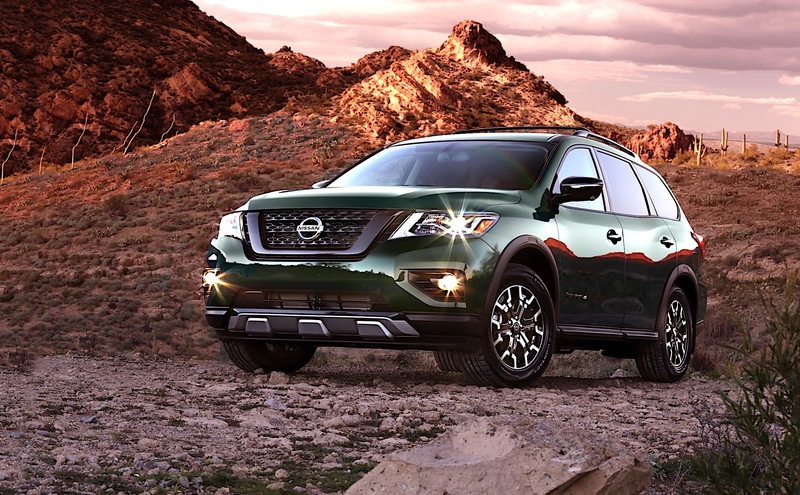 Nissan's Pathfinder might not be as rugged as the old Xterra (or the current Asian market Terra), but it is a capable SUV that can skillfully deliver you to our campsite or adventure activity. 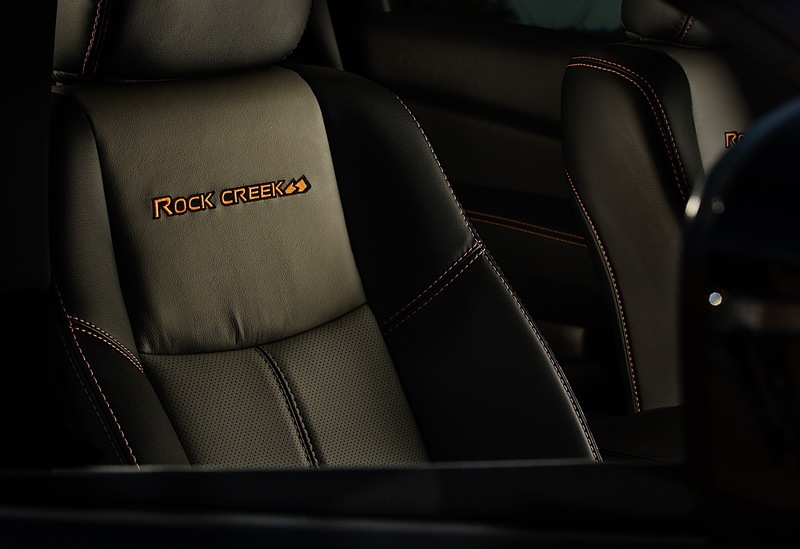 To help emphasize the fun, outdoorsy nature of the Pathfinder, Nissan is offering a new Rock Creek Edition on the 2019 year model. The package adds $995 to the SV or SL Pathfinder in either two- or all-wheel drive. Seven exterior colors are available, but this swanky green on the official release vehicle looks quite nice. The package includes dark 18-inch wheels, black mesh grille, black roof rails, and blacked-out door handles and outside mirrors. Also, there are black front and rear fascia accents and even a black license plate finisher. Of course, there are black 4WD badges and overfender finishes, in addition to unique badging. 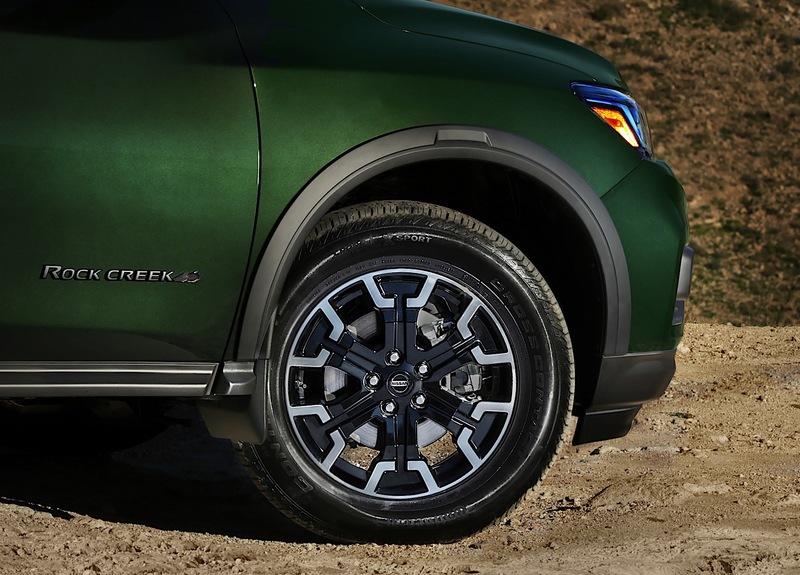 “The Rock Creek Edition name was chosen to connect to Pathfinder’s family outdoor adventure-minded target customers,” said Scott Shirley, vice president, CMM & Marketing Operations, Nissan North America. And while it doesn't say it was named after any particular creek, but this author grew up near a Rock Creek, so let's go with that. 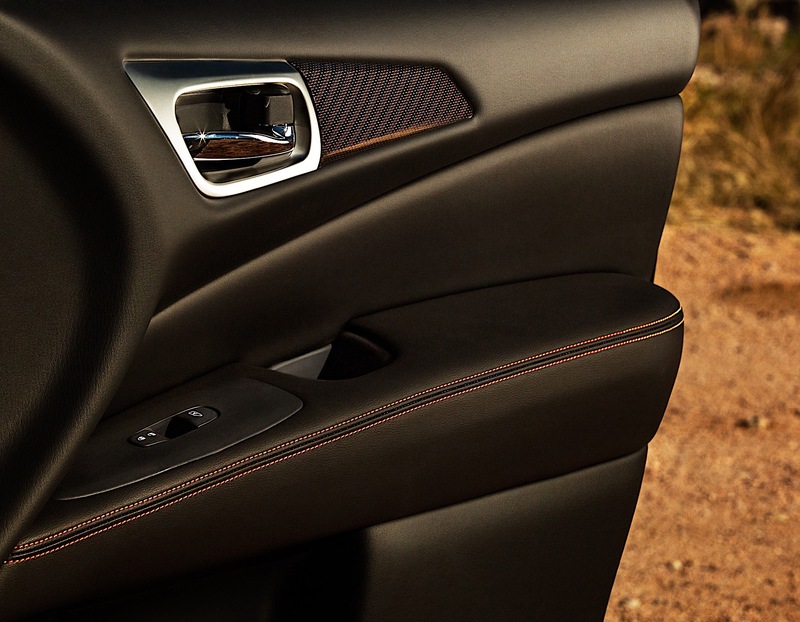 Inside the cabin, buyers are treated to unique two-tone seating surfaces and badging, high contrast stitching and premium metallic trim. 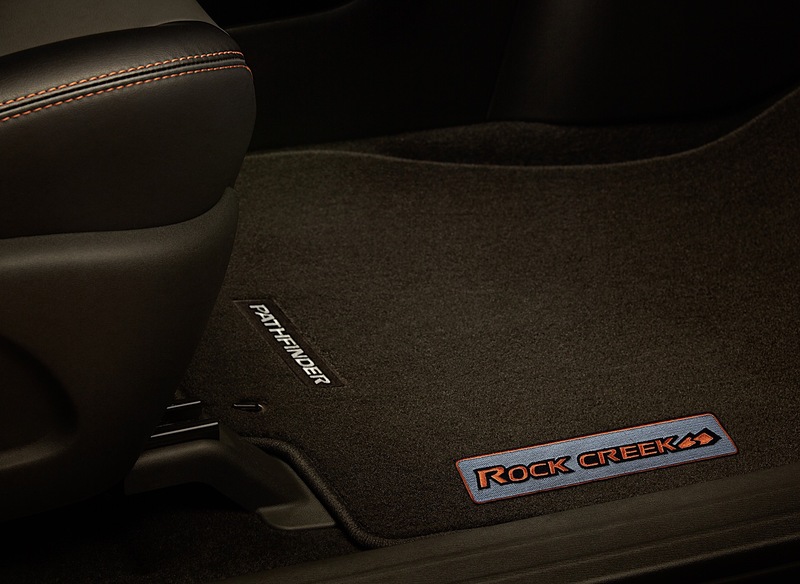 As for outdoorsy hardware, the Rock Creek Edition has standard tow hitch and harness plus splash guards. The Pathfinder has a 6,000-pound towing rating in both drivetrain configurations, which is not only good, but also best-in-class. Lastly, buyers can add the technology package for $980 and get heated mirrors, steering wheel and seats, plus navigation. A $2,110 premium package boasts a 13-speaker Bose stereo and a power panoramic moonroof. The Rock Creek Edition goes on sale later this spring. Now, we just need to see if Nissan pronounces it "creek" or "crick."